Murray Thompson owns a fishing hut up in the high tussock country of central Otago in New Zealand. I have stayed there on a few occasions and, if I could afford either option, which I can not, I would sooner stay in Murray´s fishing hut than in the honeymoon suite at the Ritz. For the last few days I have been trying to paint a water colour of one of the beautiful trout that swim in Lake Onslow which is spitting distance from the front porch of Murray´s hut. I have used a photo that Murray sent me a little while back. I don´t know very much about the fish beyond the fact that it is clearly a good one. I think Murray himself caught it but I am not sure. One thing is certain, I wish I had caught one that big when I was there! 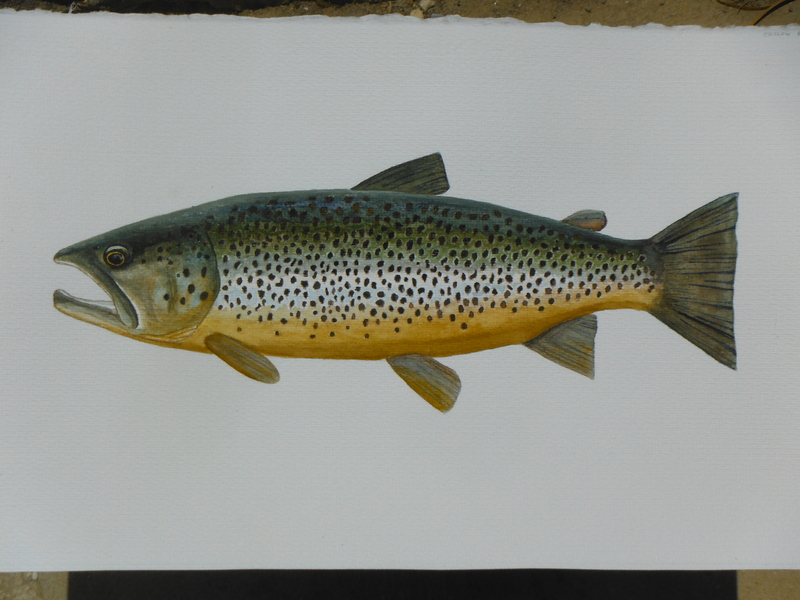 Anyway, here is Murray´s trout and my best effort so far to paint its portrait. My best stab at it! Good to hear from you. I think the paintings are getting there gradually. 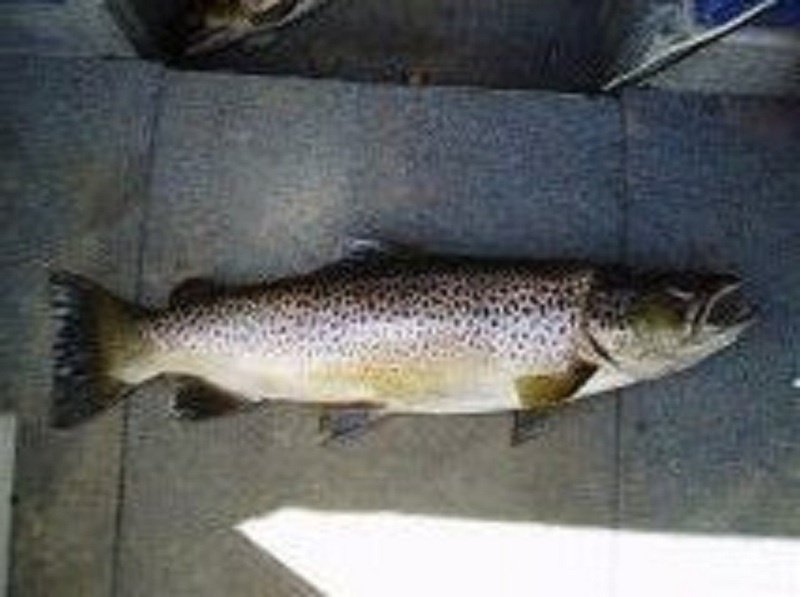 I haven´t forgotten our agreement.I want to knock out a few more trout and barbel so I feel I am getting the hang of them so the ones I give you are about as good as I am able to do. Best wishes to Amy. Remember there are beds here for you guys. I´m in the market for somebody to fish with me at Concepción…….